September is here. September is finally here? September came far too quickly. This right here is the dialogue that bats back and forth in my head during these early days of fall. My team and I spend all year preparing for camp, and then just like that, the two summer months pass us by and we are back in the office starting it all up again for the following year. September is finally here? September came far too quickly. Fall is a great time of reflection for me, both personally and professionally. It was this reflecting in fact, that made me realize I had not written a blog post since my ‘official launch’ in June. So here I am, now home in Toronto with a hallway full of camp duffle bags still full of sandy clothes, our kids (somewhat) settled back into school and daycare, Alyson and I already stumped as to what to make for school lunches, and all of us wondering where the summer went. September came far too quickly. It was a really great summer. For one, our weather was truly outstanding from start to finish. I am, as I imagine most camp directors are, obsessed with the weather. I have numerous apps on my phone and my computer and I check them constantly. We call the rain ‘Liquid Sunshine’ to the campers, but there is absolutely no disputing that REAL sunshine is what makes the camp go round. Everyone is happier in the sun. Everyone is outside, everyone is active and engaging, and my own proven fact is that kids definitely “miss home” LESS when the weather is nice. On a side note, parents still miss their kids just as much, no matter the weather. Let’s get back to my September reflections. Yesterday, I drove by a local high school during lunch time and saw hundreds of teenagers milling around, eating lunch, sitting on the lawn, and almost ALL of them were on their phones. All of their heads were buried in their devices while they ate with their friends. It made me feel proud about camp and our campers, and how everyone buys in to our “electronics free world” for their time with us (some take a little more convincing than others). I wonder if camp might be one of the few remaining places on earth where people still come together throughout the day and actually talk, laugh and engage with each other face-to-face, RATHER than bury their heads in their phones and disengage. Camp is amazing. September came far too quickly. On a note of personal reflection, I saw my own kids flourish at camp this summer. I saw my daughter face her stage fright fears and get up on stage to sing for the first time at campfire. I saw my middle son (the one who is very much like the ‘childhood me’ I described in my first blog post) join a Jinci Boys cabin group at the very end of August, after a full summer of convincing and discussion. And I saw my three year old son become outgoing and courageous with people, with water, with everything! We also watched him learn to speak like a teenager…walking down the tent line high-fiving 16 year old boys and asking “Hey there, what are you guys up to?” Camp is about celebrating victories, both big and small. I share these personal anecdotes only because I hope, on reuniting with your own children, that you too were able to notice a change in them this summer. For those of you that greeted your children who said, ‘I was homesick at the start!’ but continued on to tell you how they worked through it and they did it! For those campers that came to camp knowing no one and left with a friend they hope to reunite with next summer, amazing! For my own nervous son who was told by a fellow Jinci Boy, ‘What do you mean you don’t try any new activities!’ Well, he finally tried something! And boy was he proud. I hope that every camper came away from Onondaga with one thing they were proud of – a new friend they made, a new activity they tried, an award level achieved, something they were proud to accomplish from their own personal ‘camp bucket list.’ Something which, in turn, has made them proud of themselves and you tremendously (even more) proud of them. My reflection has helped to emphasize the great amount of gratitude I am also feeling post-summer. I am grateful to our extremely caring and hardworking staff for providing our campers what I hope was the summer of a lifetime. I am also incredibly grateful to you, our camp families for sending us your children, for trusting us with your children. Camp is all about the people. Your children, our families, our staff… we couldn’t do it without you. From the bottom of my heart I thank you. Day is Done, Gone the Sun…From the Lakes, From the Hills, From the Skies…All is well, Safely Rest, Friends are Nigh. Thanks for the day campers! September came far too quickly, and June can’t come soon enough. Really great read Duncan! Your emotion could be felt through the words that you wrote. We too can’t wait for June. This was such an incredibly wonderful, warm and authentic post to read. 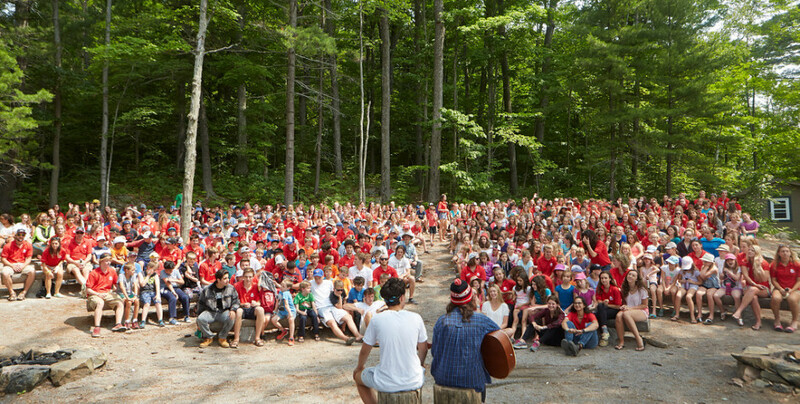 Camp is precious and just like our own kids are precious to us – your understanding of what they need to disconnect and truly connect is a gift to all your Onondaga families. We can’t thank your family enough. Indeed, September came far too quickly. Great summer at Onondaga! Thank you for your post and for setting an optimistic tone for another great year at Onondaga in 2017, together with your family and … the dogs :). Steve Lytle and the rest of the Lytle Clan! It was great to read your blog today Duncan. It brought back memories of leaving B session and looking forward to the reunion a short couple weeks later at the CNE. Remember the Bulova Tower? Following the reunion we would suddenly realize that the summer was over and September had come way too early! Your message also makes me reflect on our present times when we come to drop off the kids and see the changes and improvements made in the camp each year. When we come and pick up the kids and see the mixed emotions they have about leaving camp or staying on longer. The same feeling my brothers and I had when we attended Onondaga. You and your staff and the ownership team make that happen. Please keep helping September to come way to quickly!